In Email marketing, we send a message to the given set of people. It used to make the relationship between sender and receiver stronger. In fact, it can also be used to promote business i.e. once products or services. Special knowledge is required to do this effectively. We the email marketing company in Pune frames attractive diagram in terms of appearance. Content written in that template must be catchy. Other than this proper hyperlink is given in that. We also have the facility to send bulk email. We continuously aim to make any campaign a grand success. This is very much important us as we work for the overall benefit of the client. This is one of the types in the field of digital marketing. It is suitable for all types of business. 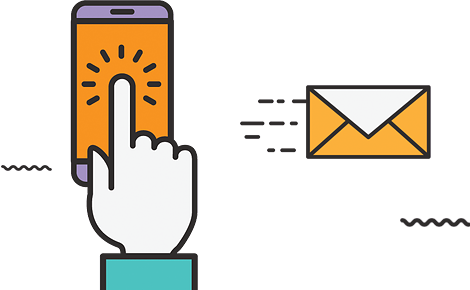 Being an email marketing company in Pune we feel that our knowledge and creativity will help to achieve your objective as early as possible. If you are planning to run this kind of campaign for your business then one must surely contact us and make it successful. Likewise, we have a keen observation on the results of every campaign because of which further strategy can be framed. Almost all the campaign we run goes under this situation. The reason being we are able to get the way the market is responding to our action plan. Furthermore, it adds up to our knowledge and makes our work better. Start generating leads in minutes. Content marketing has got a lot of importance in this industry. Read more to know it in a better way and enlighten yourself.